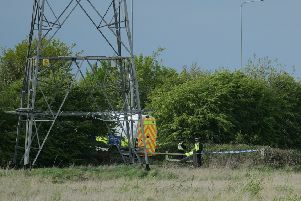 Police: Did you see car in Normanby le Wold last night? Caistor’s Neighbourhood Policing Team is appealing for information after a car was involved in a crime in the Normanby le Wold area last night (Thursday). According to police, a blue Daihatsu Fourtrak Estate was involved in a crime at around 10pm last night. At this stage, no further information has been revealed regarding the nature of the crime. If you saw the car in the area last night, call police on 101 and quote reference number 469 of November 10.